Another beloved classic movie star has passed away. Margaret Pellegrini, one of the Munchkins from The Wizard of Oz, has died at 89 years old. The Munchkins spokesman confirmed Pellegrini had died Wednesday, two days after suffering a stroke at her home in Phoenix, Ariz.
Pellegrini (pictured above, right) was one of the last surviving Munchkins to star in the classic 1939 film. Two other cast members, Jerry Maren and Ruth Robinson Duccini, are still living. 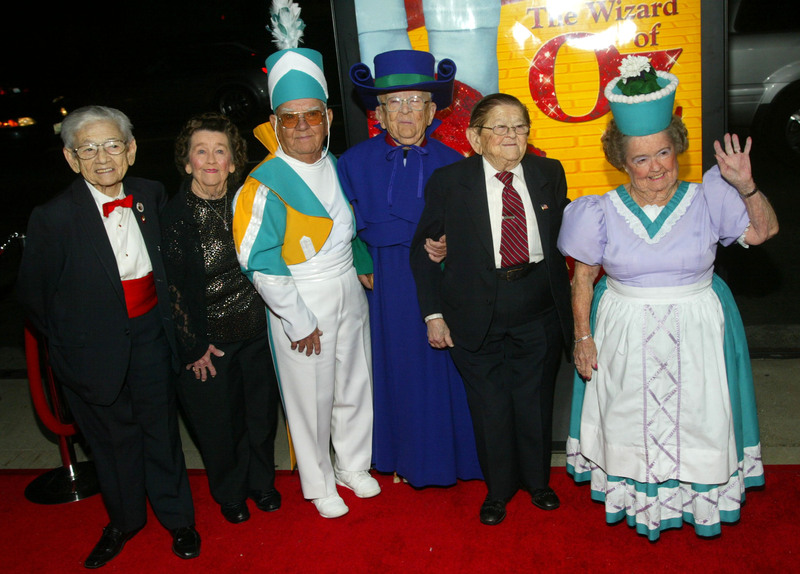 The actress was a devoted member of the Munchkin alumni group, making regular appearances with some of her co-stars at various events, including a Hollywood Walk of Fame ceremony in 2007 that honored the Munchkins. The actress — who was discovered by a group of show people from Henry Kramer's Midgets as a child — only appeared in one other film, 1971's Johnny Got His Gun, but popped up in several projects as herself toasting The Wizard of Oz. Some of those projects include documentaries like 1993's We're Off to See the Munchkins, 2001's Memories of Oz, and 2009's The Yellow Brick Road and Beyond. Pellegrini, who played a sleepy heads kid in The Wizard of Oz, is survived by her family, and, of course, her two fellow Munchkins.